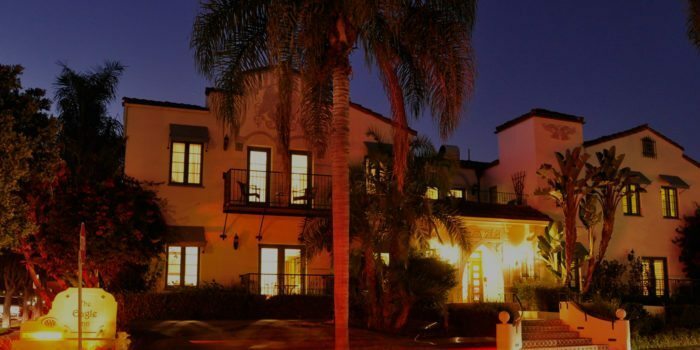 Tourists from all over the world visit our beautiful city of Santa Barbara every year, and we are always delighted when they choose to stay at our boutique bed and breakfast hotel. 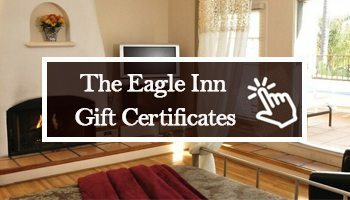 The Eagle Inn is located on the corner of Natoma Street and Bath Avenue in Santa Barbara’s West Beach district. It occupies a building originally built in 1929 as an apartment. Its Spanish Colonial Revival exterior hints at the classic luxury offered to guests. From its smooth white stucco walls and shaded balconies to the clay, Spanish tile roof; the building embodies Santa Barbara architecture. The West Beach district sits on one of the most archaeologically important sites in California. Around 3200 to 5000 years ago, this area was home to the Chumash people who lived all along the California coast in small villages. Buried five feet below the present-day surface lies the village of Syukhtun and its burial grounds. Santa Barbara was quiet until the Southern Pacific Railroad completed a link from San Francisco in 1902. Santa Barbara became a tourist destination. The discovery of oil in 1928 further fueled the influx of new residents to the West Beach district. Between 1920 and 1930, the population doubled. West Beach district became home to small hotels, cottages, boarding houses, and apartments. The Eagle Inn was one of many structures built to accommodate the influx of new residents. On the morning of June 29, 1925, while many Santa Barbarians were going about their morning rituals, the city was shaken by a 6.8 earthquake. The quake shook the city for 18 seconds. Few of the buildings on State Street, then the city’s main avenue, survived. Thirteen people lost their lives, and more lost homes and businesses. That night the residents of the city slept outdoors on lawns, in city parks, and along the beach. According to the Southern California Earthquake Data Center, the destruction in Santa Barbara illustrated a problem with many cities in California. The state’s rapid rise in population and demands for homes led to buildings being thrown together with sub-standard construction methods. 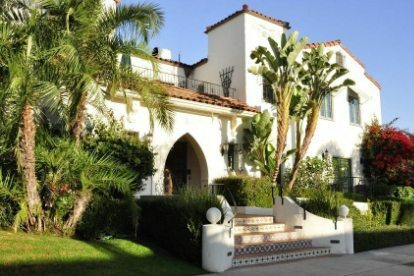 Santa Barbara officials noticed Spanish style buildings suffered less than other structures and set about rebuilding Santa Barbara using the safer Spanish Colonial Revival style. Thanks to regulation and city planning, Santa Barbara emerged from the destruction of the 1925 earthquake, becoming one of America’s most beautiful cities. The building that would one day become The Eagle Inn is one of the structures built under the city’s new regulations. The Eagle Inn is a Structure of Merit property for the proposed West Beach Historic District. It epitomizes the growth of the district between 1900 and 1950. Originally named the Natoma Apartments, the building has classic Spanish Colonial Revival features. Beautiful tile highlights the recessed arched entryway. Cast-iron metal work accent some of the windows. Balconies beckon guest to sit outside and watch the stunning sunsets. The Inn is on a quiet, mixed-residential, palm tree-lined street. Several historical sites, the Santa Barbara Harbor and the beach are within walking distance from the boutique bed and breakfast hotel. This video below by the City of Santa Barbara will tell you more about the unique features of Spanish Colonial Revival Architecture.